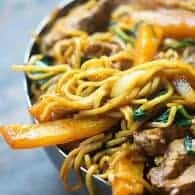 Teriyaki Pork Lo Mein Recipe - even tastier than take-out! 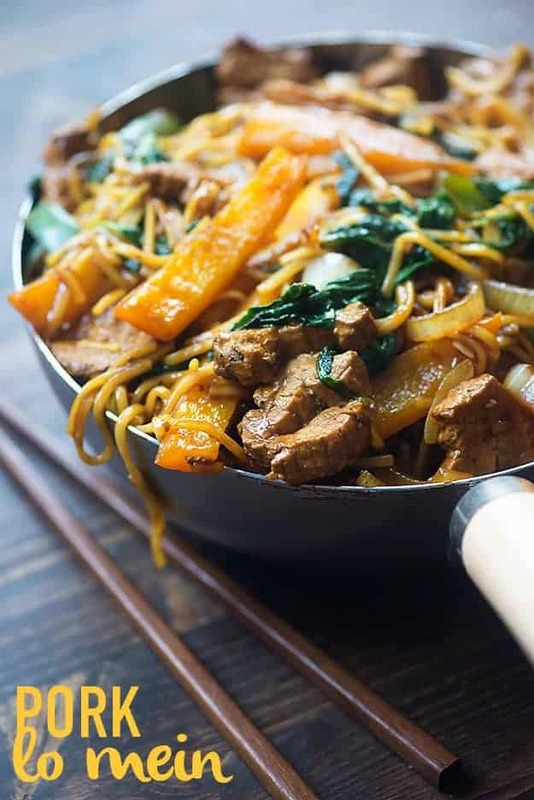 This pork lo mein recipe makes for a quick and easy weeknight dinner! Big thanks to Smithfield for sponsoring this post. And thank you for supporting the brands that help support this blog! I’m only exaggerating a little bit. I’ve been trying to back off of the take out scene and bring back some of our favorites into our dinner rotation. My bacon fried rice? Always a hit. Same goes for these Korean BBQ Pork Chops! I decided to work out a new lo mein recipe for us and, guys. It’s a total weeknight winner. 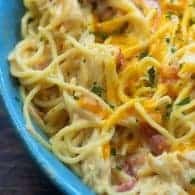 This recipe is ready in less than 30 minutes so it’s basically faster than getting delivery anyway! And, hi. 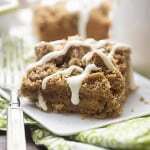 It’s even tastier since it’s homemade. 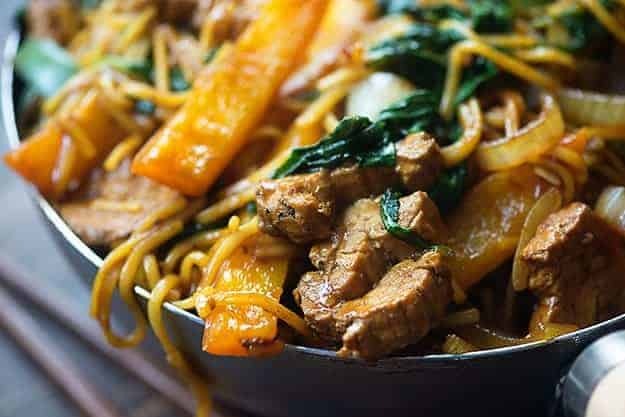 This pork lo mein is perfect for a quick weeknight dinner! I’ve been working with Smithfield for a couple of years now to bring you creative new ways to use their marinated fresh pork. 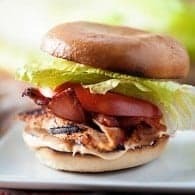 I started this recipe with their Sweet Teriyaki Marinated Fresh Pork Tenderloin. This is 100% fresh pork and it’s packed with protein. The meat is already nicely flavored, which makes this whole recipe a breeze. You’ll just want to dice the pork into bite-sized pieces and toss it in your wok with a little oil. Easy peasy. And if you don’t have a wok, go ahead and use a large skillet. 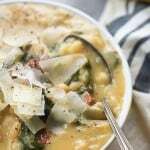 I’m using bell peppers, onions, and spinach in this recipe. I know spinach might sound a little weird for lo mein, but I like it here, because it practically disappears as you cook it, which means the kids don’t mind eating it. 😉 Extra veggies for all! We love this easy lo mein recipe and I bet you will too! I highly recommend grabbing some dark soy sauce to use in this recipe. I have never seen dark soy sauce in my local market, so I order it from Amazon right here. You can skip it if you really don’t think you’ll use the bottle again, but we love it. It gives Asian food such a great color and it’s less salty than the light soy sauce we’re all used to. It really gives food a nice flavor. Hope you guys give this take-out fake-out easy lo mein recipe a try and let me know what you think! 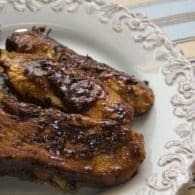 For more fabulous, seasonal pork-y recipes, check out www.SmithfieldRealFlavorRealFast.com. You’ll also want to check out this video to see how to make some fresh pork and pasta bowls – perfect for this time of year! 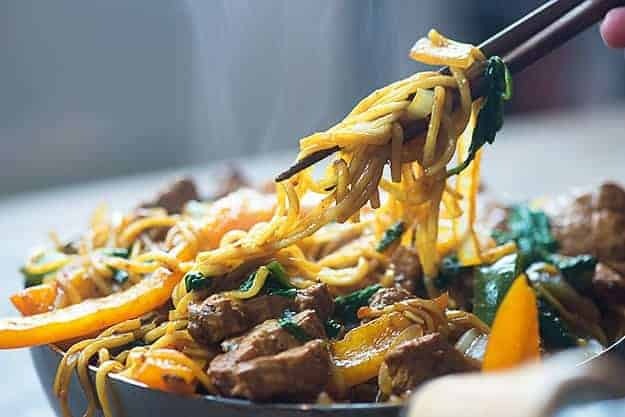 This pork lo mein recipe makes for a quick and easy weeknight dinner! Bring a large pot of salted water to a boil. Cook the noodles according to package directions. Drain well. While the water is coming to a boil, dice the pork tenderloin into bite-sized pieces. Slice the peppers and onions into thin strips. Add one tablespoon of olive oil to a wok or large deep skillet and heat over high heat. Add the pork to the skillet and cook over high heat, stirring often, until browned and cooked through, about 6 minutes. Remove pork from the wok and set aside. Drain any liquid in the pan. Add the remaining tablespoon of oil to the wok and heat over high heat. Add the peppers and onion and cook, stirring often, 3 minutes. Stir in the garlic, ginger, and spinach. Continue cooking for 3 minutes, or until the spinach has wilted. Add the light and dark soy sauce, honey, and chili paste to the wok and stir well. Stir in the drained noodles and cooked pork. Continue cooking for 1 or 2 minutes, stirring constantly, until well combined. Looks good……………..at what point do you suggest putting the cooked pork back in? 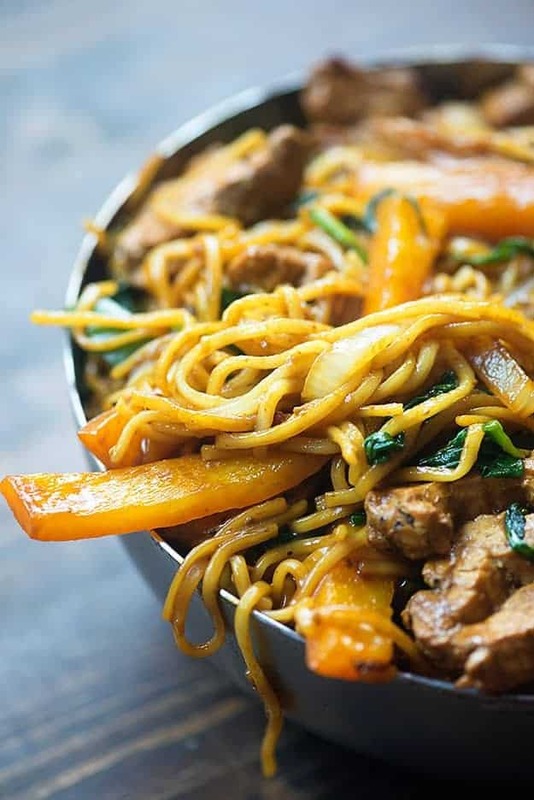 This lo mein looks absolutely mouthwatering! This looks amazing Karly, we love Chinese food, my daughter will be thrilled, unfortunately we can’t order in where we are! I can’t wait to try this. out some of the bell pepper.